Zagat is a company that is known to taste test the best foods in the world. It rates the kinds of places most of us can't afford to eat. The French Laundry in Napa comes to mind, for instance. But this week, Zagat's ranked fast-food spots and a new addition to the Bay Area toppled the California's favorite burger In-N-Out. 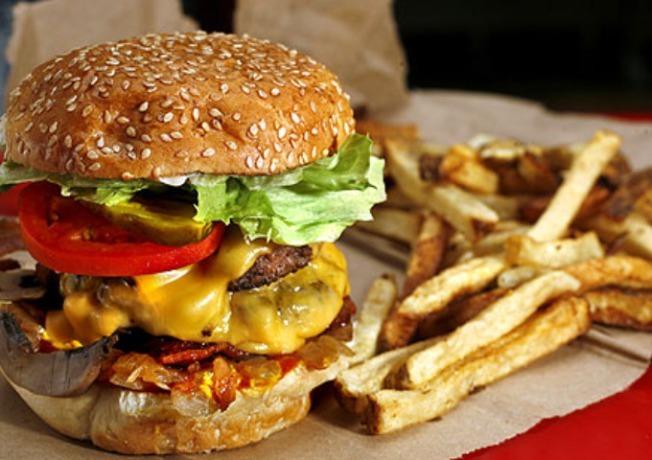 "I think the headline is Five Guys," Zagat Survey CEO Tim Zagat told NBC's Ann Curry. "It’s a chain that has 500 outlets, but that’s small. But it’s growing." Five Guys started in Arlington, Virginia in 1986. It has been in the news lately in part because of a highly publicized visit by President Barack Obama, who stopped by for lunch with NBC News anchor Brian Williams. Just this summer, Five Guys opened shop here in the Bay Area with places in Fremont, San Jose and Sunnyvale. By the way, the chain came in second when it comes to fries. McDonald's came in first. All this might have you thinking about a taste test of your own. The survey divided fast-food venues into four categories: Large Chains (up to 5,000 U.S. outlets), Mega-Chains (more than 5,000), Full-Service Chains (with table service) and Quick-Refreshment Chains (focusing on beverages, frozen treats and the like). Wendy’s is this year’s Top Food champion, dominating the Mega-Chain category. The remaining top-ranked values among fast-food chains are (in order) Panera Bread, Chipotle, Taco Bell and Chick-fil-A. The top three full-service winners for Best Value are Olive Garden, Cracker Barrel and The Cheesecake Factory.